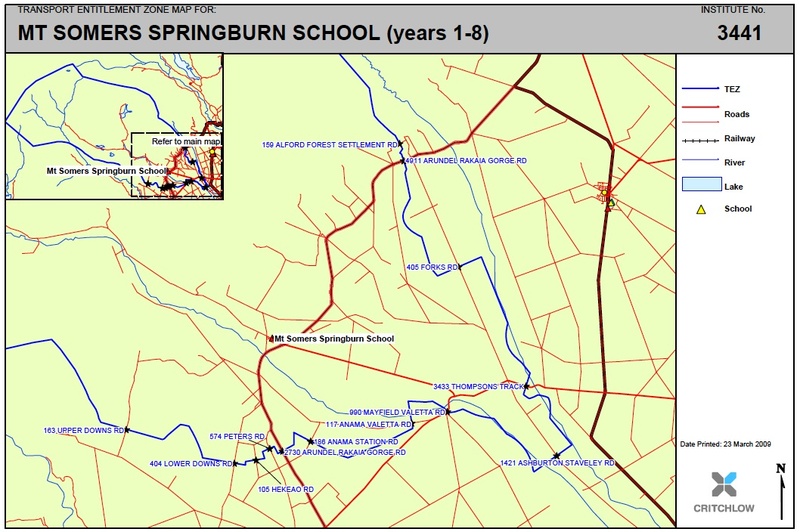 Mt Somers Springburn Transport Entitlement Zone (TEZ) Map. The map below shows the cut-off points along the boundaries of our Transport Entitlement Zone. If you wish to travel to our school by bus and do not live within our TEZ, then you can meet the bus at a point along our routes within out TEZ. Other TEZ information is outlined in the documents below.